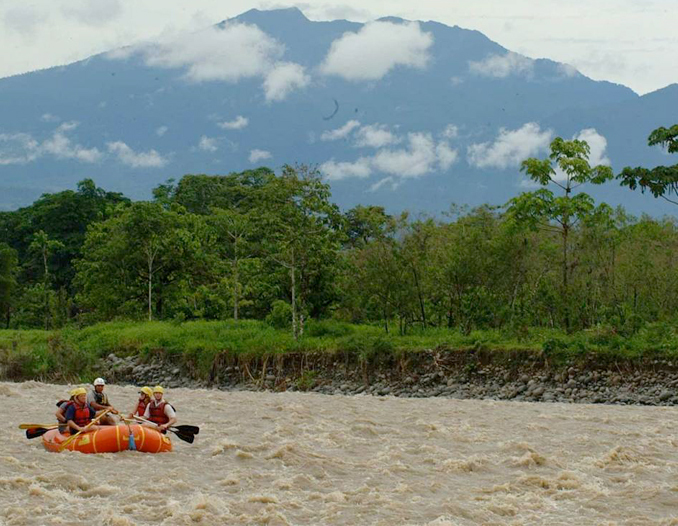 We have daily departures from San José, the Caribbean Coast and the Arenal Volcano, giving you the choice to start and finish at the place of your convenience. Half way between these locations is our Exploration Center. 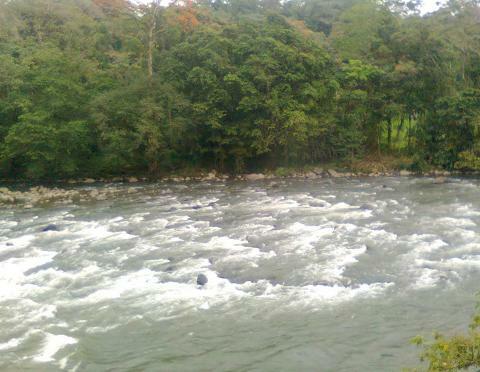 El Carmen Section is a big water run, ranked as moderately difficult. 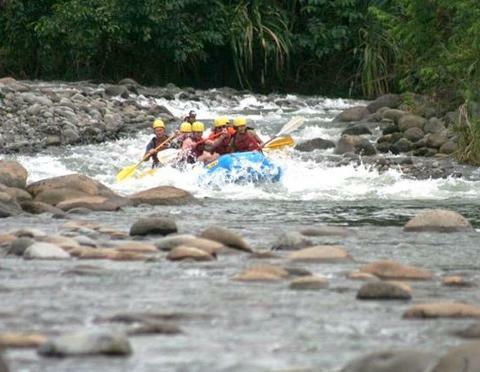 Its lush surroundings, abundant bird life and plentiful rapids make this trip a perfect introduction to river running. It is a 16 km /10 miles run that is clearly divided into two sections. 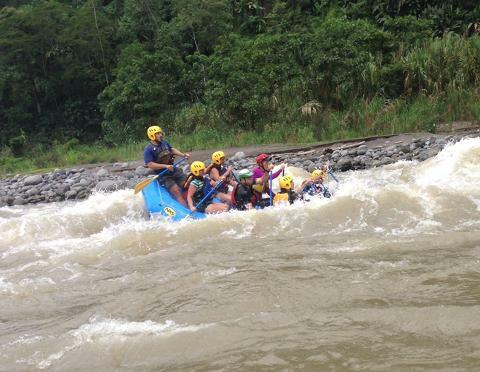 The first hour is very exciting, with big waves and long rapids. Then we stop for a picnic lunch, at the most scenic beach on the river. 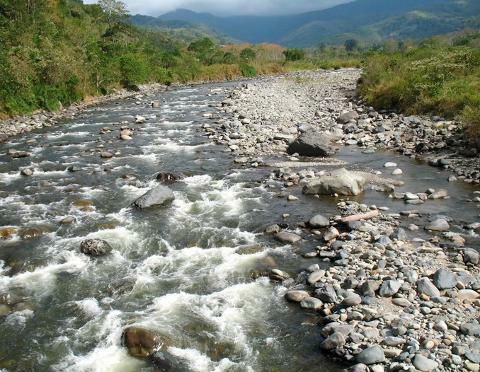 The second half is more relaxed, as the river enters the true lower Caribbean at which time your surroundings take on a jungle character and the wildlife is more plentiful. At the end of the descent we will take you to our Exploration Center where you can change, shower and relax while enjoying a cold beverage of your choice. 8:15 - 9:00 am	Breakfast at the Exploration Center. 2:00 - 3:00 pm	Arrival at our "Exploration Center" with time to shower, change clothes, enjoy a beverage and reflect on the adventure just shared. Physical conditioning and consistent exercise prior to these trips is essential. 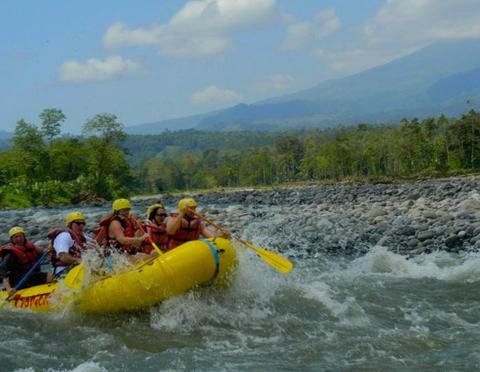 While these rafting trips are suitable for a novice, you will be sitting in and paddling through swift water (up to Class III) an inflatable canoe for up to 4 continuous hours. You will get wet and there's a slim chance you may swim.